If you follow my blog, then you already know how powerful I believe SEO Technical Audits are. To me, they provide the most bang for your SEO buck. Since I also work heavily in Paid Search, I end up performing a lot of SEM audits too. Paid Search has exponentially grown in complexity over the past few years, and as a result, it’s easy to miss new functionality and targeting capabilities released by the engines. In addition, there are many settings that can impact how SEM campaigns perform. It’s important to understand which settings to utilize and how to adjust those settings in order to maximize paid search performance. Similar to SEO technical audits, SEM audits can be extremely powerful and can help identify key problems and opportunities. Also, the audit produces a remediation plan, which can help you quickly make changes to impact campaign ROI. This is why having an SEM audit completed is a logical place to start if you feel you aren’t getting the return you would like from your paid search campaigns. When I begin helping new clients with SEM, I typically complete an audit of their Paid Search campaigns prior to making any changes. This helps my clients understand the current state of their campaigns, various opportunities for improvement, ways to expand their campaigns to reach more targeted people, and all with the ultimate goal of boosting ROI. The audit results can help advertisers set a solid foundation for their paid search campaigns (similar to how an SEO audit can set a solid foundation for organic search). In SEO, I often explain to clients that without a clean and crawlable structure, you can forget about the other aspects of organic search. They won’t matter if your content cannot be crawled and indexed. Well, in paid search, if you get the account structure and targeting aspects wrong, it can be incredibly hard to identify what’s working, what’s not, and how to improve your ROI. I believe it’s almost impossible to recover from a poorly structured account. And no, that’s not an understatement. One of the reasons that an SEM audit is so important is because your account structure is critical to the success of your campaigns. This includes how you structure your campaigns and ad groups, which impacts how you organize your keywords and ads. At its most basic level, campaign structure impacts how much you pay, since you set budget at the campaign level. For example, do you have one campaign that houses all of your ad groups? How can that impact your most profitable ad groups? Can you quickly adjust budget when needed? And is it easy to analyze your campaign at a granular basis? These are the types of questions that can be answered by having an SEM audit completed. There are several settings at the campaign level that can seriously help or hurt your overall performance. It’s important to understand your current settings in order to diagnose potential problems. I’ll explain more about some of these settings below, but an audit will analyze the full gamut of available settings in SEM. For example, how are you rotating ads, do you have scheduling set up, are you targeting all networks and devices, are you utilizing ad extensions correctly, are you using geotargeting, etc? There are times that fundamental changes at the campaign level can end up making a huge impact on performance. Let’s take a look at few of these settings in greater detail. Note, I’m not going to detail all of the settings at the campaign level (or this post would be 20 pages long). I wanted to simply introduce certain concepts and how an audit could help identify both opportunities and risks. While completing an SEM audit, it’s important to analyze both network targeting and device targeting. That includes how you structure campaigns to target both the Search and Display Networks, along with various devices (like desktop and laptop computers vs. smartphones and feature phones). Are you combining both Search and Display targeting in one campaign, are they broken out into separate campaigns, and how is that impacting your ROI? Targeting networks and devices can be incredibly powerful if set up and managed correctly. If you target certain geographical locations, then geotargeting your campaigns can be both logical and effective. If you aren’t using geotargeting correctly, you could be either missing huge opportunities to reach a more targeted audience, or you could be wasting budget. Both are not good, and audit can help identify missed opportunities. AdWords, in particular, provides some robust ways to target users by location. 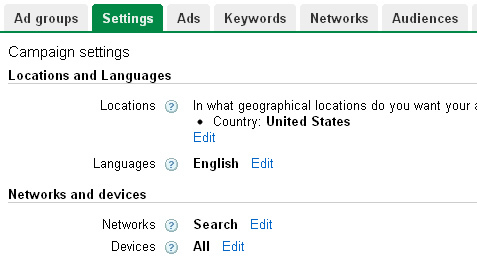 You can read my post about AdWords geotargeting to learn how AdWords targets users by location. Have you ever wondered how many impressions or clicks you are getting in relation to what’s available in the market? For example, are your ads showing up 10% of the time or 90% of the time when people are searching for your products and services? Are you missing impressions and subsequent clicks based on budget or rank? How is this affecting your overall campaign ROI? A thorough audit will reveal this information, and again, it could be eye-opening. This part of the audit can dictate budget allocation and potentially open up an entirely new flow of prospective customers. An audit will help you understand if you’re grouping keywords in a way that will produce the best possible results. Also, an audit will provide information about keyword Quality Score, and how that can be positively or negatively impacting your campaigns. Quality Score is an important aspect of Paid Search, and I find many people are unaware of how it impacts cost and performance. It’s a complex subject and I won’t go in-depth here, but you should understand that the higher your keyword quality scores, the higher your ads can rank and the lower you can spend per click. Read that sentence again (it’s that important). Needless to say, you should be fully aware of Quality Score and how it is impacting your campaigns. This can directly save you money and increase your ad rank. It’s hard to ignore Quality Score in Paid Search. Understanding how your ads are tied to keywords is extremely important in Paid Search. For example, are your ad groups structured in a way where you can target ads specifically for certain visitor segments? From a keyword perspective, you might find extremely low quality scores, which can directly impact your cost per click (CPC) – as mentioned earlier. If so, how can you improve Quality Score? Are negatives being used properly, are negatives being used at all, and are they impacting more keywords than you think? Which match types are you employing and how does that impact your performance. Are you bids too low? Are you targeting bids at the keyword-level or ad group-level? All of these findings will be essential to creating a plan for moving forward. Without this intelligence, you could end up making changes that have no effect, or worse, a negative effect. 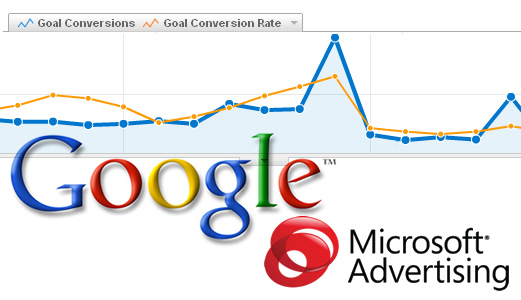 When most people think about SEM, they think about text ads running on Google.com. It’s also important to understand the opportunities on Google’s Display Network (DN), along with how to properly run campaigns on the Display Network. An audit will help you understand if you are targeting the Display Network, how effective your campaign setup is, how those campaigns are performing, along with opportunities for increasing your performance. And by the way, you aren’t limited to text ads on the Display Network, you can use image-based ads, flash ads, etc., and across a number of ad sizes. In addition, if you are running Display Network campaigns, do you know where your ads are being displayed (which sites and properties)? How about performance by campaign, placement, or even URL? An audit will reveal this information, and believe me, it’s usually an eye-opening experience. It’s probably one of the most underutilized areas of Paid Search (partly due to a lack of knowing it’s available, as well as a fear of click fraud). Note: You might have recently heard about Remarketing in AdWords. It’s a form of behavioral advertising, and can help you target people on the Display Network that have already visited your site. If you are interested in learning more, you can read my Remarketing tutorial, which take you step by step through setting up a Remarketing campaign. By no means should this section of the post be this far down the page… I just wanted to mention some of the campaign and ad group-specific issues that an audit can help diagnose. It’s obviously incredibly important to understand the ROI of your campaigns and ad groups. I do a lot of web analytics work (beyond just tracking Paid Search and SEO), and analyzing your campaign ROI at a granular level is essential for continually optimizing your campaigns. If you aren’t effectively tracking conversion, then you will find it extremely hard to make adjustments (based on having limited performance data). An audit can help you understand if you have the proper conversion tracking in place, along with how well your campaigns are performing. If you don’t have conversion tracking in place, then an audit can help identify the best way to structure tracking for your specific business. Don’t launch your SEM campaigns without the proper tracking in place. If you do, you’ll have no idea how to optimize your campaigns. And that can be extremely dangerous (and costly). Note, if you want to learn more about mapping out an analytics strategy, you should read my post about conversion goals and events in Google Analytics. I also dedicated an entire chapter of my internet marketing ebook to web analytics strategy and tracking using Google Analytics. * Your overall SEM ROI is 650%, but your branded campaigns skew that number heavily. Your ROI, less branded campaigns, is only 30%. * You target Boston, but your geotargeting is set to the entire United States. To add insult to injury, your campaigns that should target the entire United States are just targeting Massachusetts. * Your ad groups fluctuate greatly per day in spend, yet Search only accounts for 25% of your total spend for important ad groups. Why? * You have 5 ads running simultaneously per ad group. Is that ok or a waste of time? * In addition to running 5 ads per ad group, your settings limit how you can test ads. You will never get a statistically significant result based on your current settings. * Certain ad groups are running only 10 keywords, when they should be targeting 75 or more. Other ad groups have 400+ keywords, when they should only have 25. * You are bidding at the keyword-level for almost all of your keywords. As a result, you are missing massive amounts of impressions and subsequent clicks. * You are not using negative keywords to weed out untargeted queries. This has resulted in an inflated impression count, lower click through rate, and lower quality score. That lower quality score is directly impacting your CPC (by raising it). AKA, you are wasting budget. * Your campaigns have a 15% impression share, yet you were just telling your CMO that Paid Search doesn’t really work well for your company. After calculating the potential impressions, clicks, and conversions, you decide to change that statement. * You were excited to see how many clicks came from Display Network ads running on YouTube, but that excitement led to nausea and anxiety as you saw the low performance numbers. Digging deeper, you could clearly see the difference in performance based on category of video. * You inadvertently set up ad scheduling and are only showing your ads from 10PM to 6AM. But, most targeted users would be searching from work (8AM – 5PM). * All of your keywords are using “broad match”. As a result, you have a large number of impressions, low click-through rate, and low quality score. * You have a total of 75 ad groups set up, yet only 2 are profitable. * You target local areas, but you aren’t using location extensions or phone extensions. To make matters worse, your top competitors are. One point before I end this post. Make sure the analyst conducting the audit has extensive knowledge and experience with SEM. As I mentioned earlier, SEM has exponentially grown in complexity over the past few years. As a result, it’s very hard to understand the nuances of Paid Search without being heavily involved in managing actual campaigns. Make sure you understand who will be performing your audit, and that you will have access to that person once the audit is completed. In addition, make sure the agency you are hiring is an AdWords Certified Partner and the person performing the audit is AdWords Qualified. In particular, AdWords Certified Partners must manage a certain amount of advertising spend per quarter. This lets you know that they are actually working on campaigns on a regular basis (and aren’t sitting on the sidelines). In closing, if you are running paid search campaigns and aren’t happy with your ROI, it probably makes sense to have an SEM audit completed. It could help get your campaigns on the right path, and quickly. Don’t discount SEM (no pun intended) until you know that your campaigns are giving you the best shot at success. And if you need assistance, don’t hesitate to contact me.